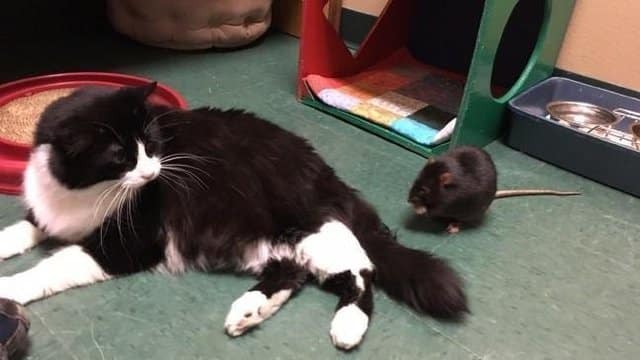 The strangest thing happens when different types of animals live under the same roof. 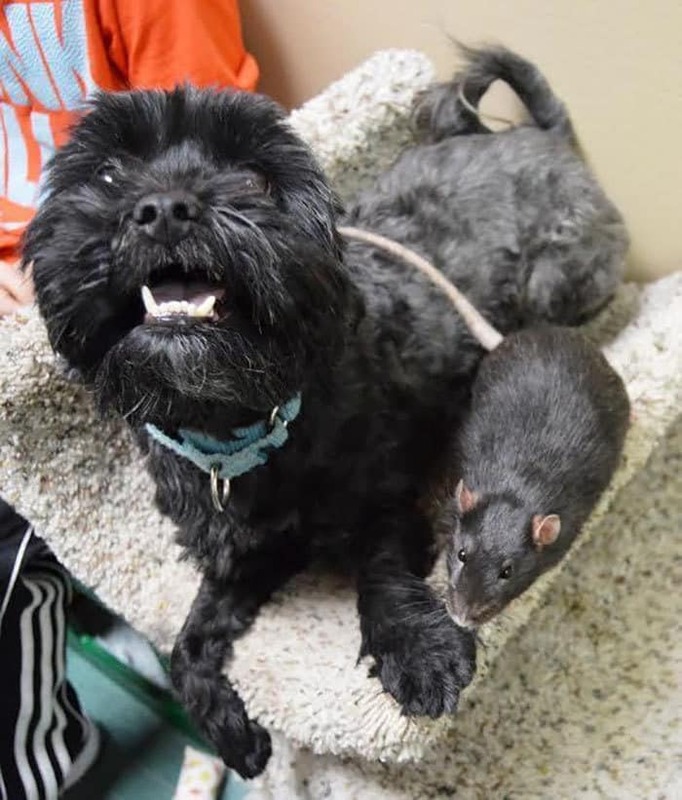 They put aside their differences and become best friends. 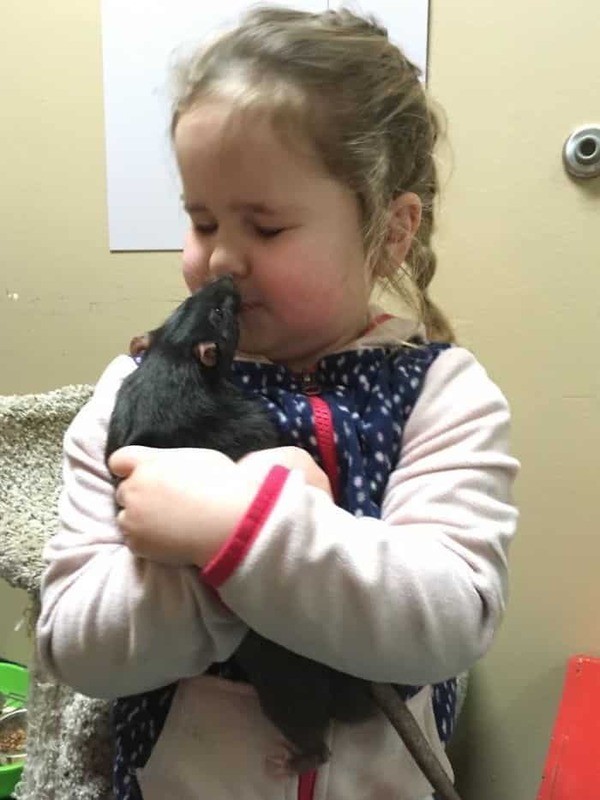 This is what happened to Jack the feline, Tweaks the rat and Sasha the canine! 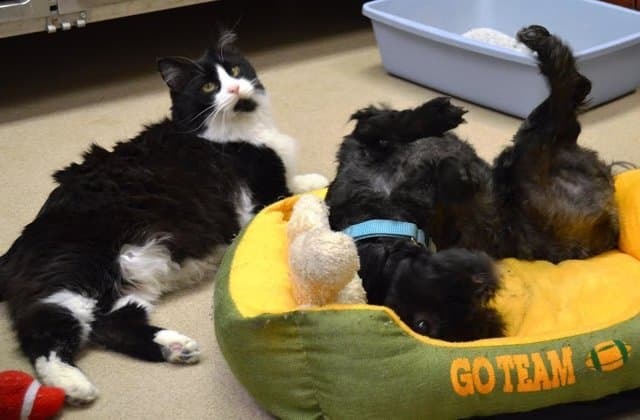 As weird as this might sound, these three animals became best friends when everyone expected them to fight. 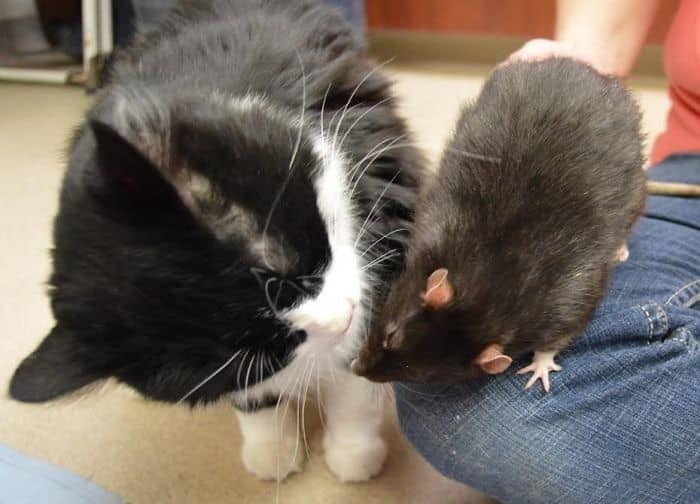 Isn’t it amazing how animals put their differences aside and become best friends? 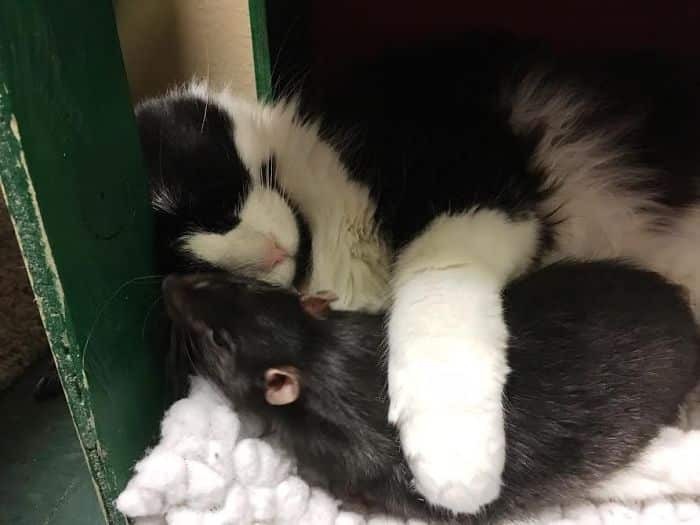 I bet no one ever heard of a cat befriending a rat before. The following photos will leave you speechless! The strangest thing about these three best friends is that they are known to be natural enemies. 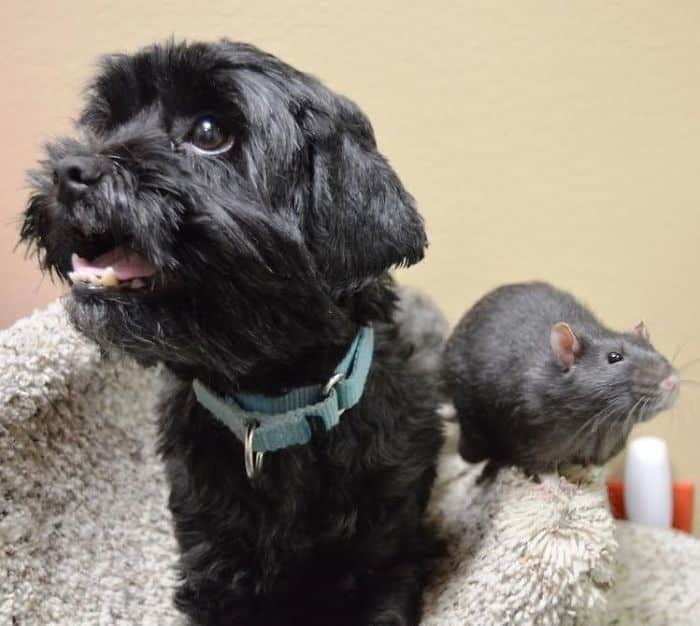 Dogs chase cats and cats chase rats. Luckily, this isn’t the case for these three friends. The owner couldn’t afford keeping his three pets around the house anymore and he had to give them up. However, he needed to something else first. 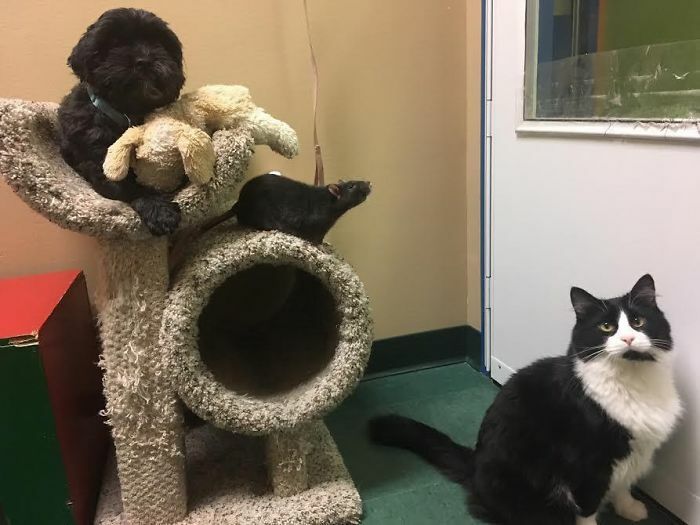 The owner knew that these three best friends are inseparable. Therefore, he needed to find a shelter that could take all three of them in and not separate them. Do you think he managed to do that? Fortunately, the owner didn’t have any trouble finding a shelter that could take them all in. 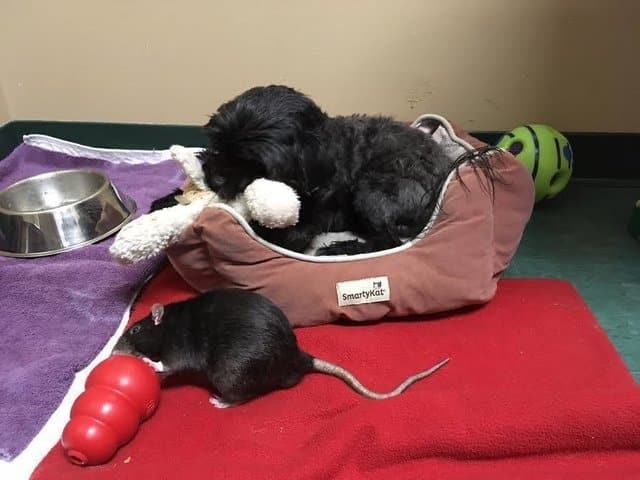 Even though he was sad to give them up, at least he didn’t separate them. The bond between these animals is something incredible. They don’t just live together, but they also help each other with day to day tasks. Keep reading to see what I am talking about. Jack the cat is not able to see well and the other two know this and they make sure to guide Jack around the house. Isn’t this amazing? Another amazing thing about these three friends is how protective they are of each other. In fact, the owner says that no one can get close to them if they are alone because the others are too protective. 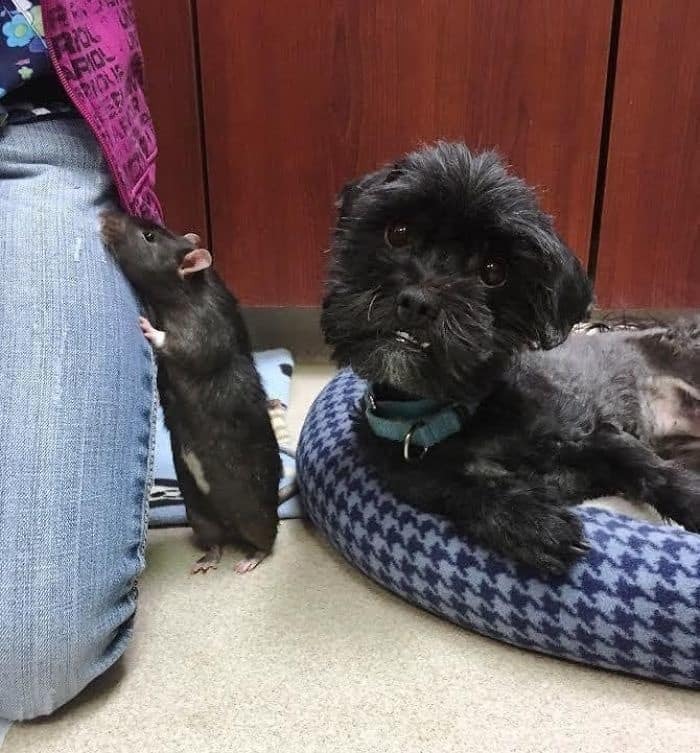 You won’t believe what they did when the vet came to visit them. 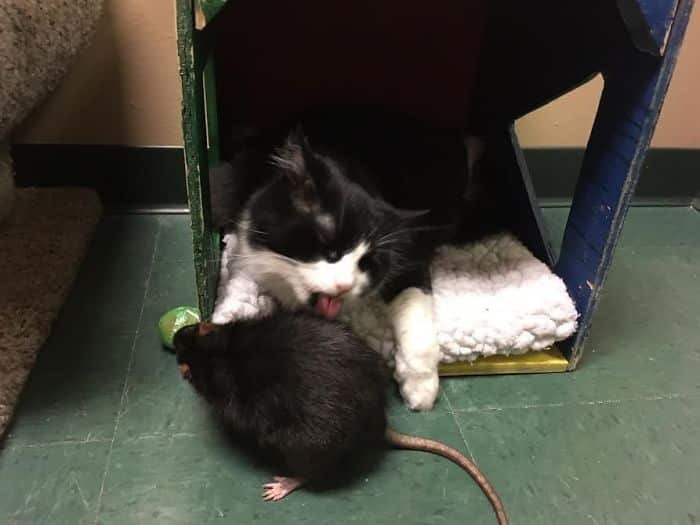 The vet came to visit the rat, but Jack the cat didn’t let him get close to Tweaks until the dog was around. Jack needed to make sure that nothing bad is going to happen to Tweaks and Sasha could protect him. Can you believe how much these animals care for each other? 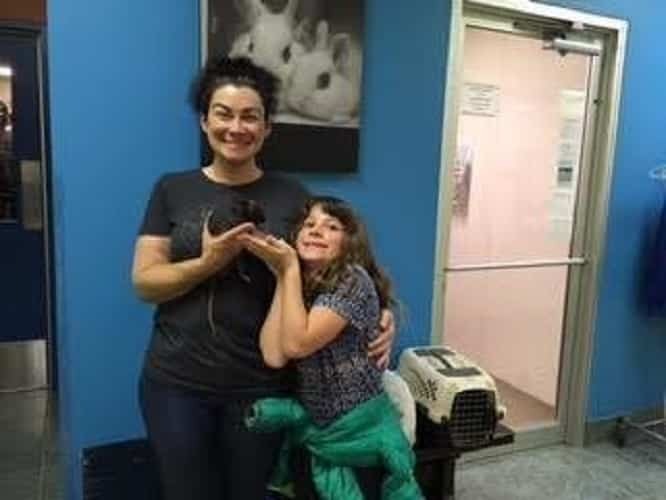 Nonetheless, the shelter needed to find an adoptive family for the three friends and this was no easy task! 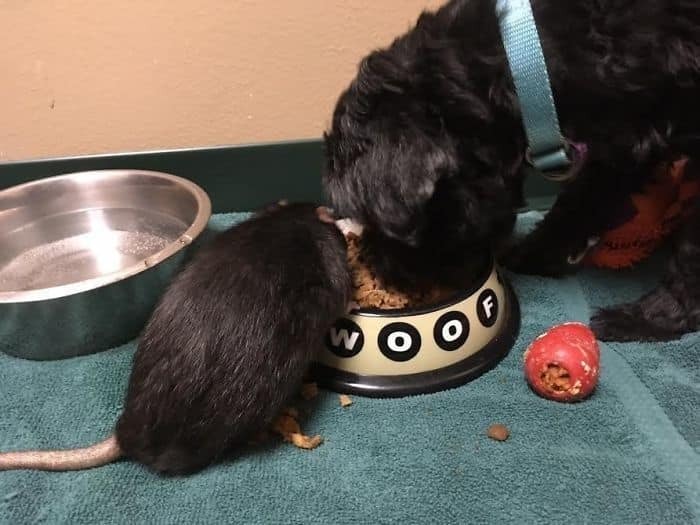 Not being able to find an adoptive family for the three friends through the normal channels, the shelter staff snapped a couple of cute pictures and posted them to social media. Do you think this worked? Seeing how these three friends are super unusual, the pictures went viral in no time. 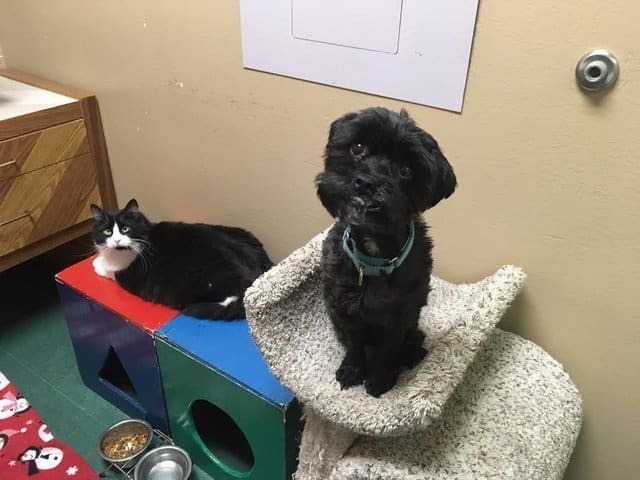 We have to admit that the shelter staff had a great idea. 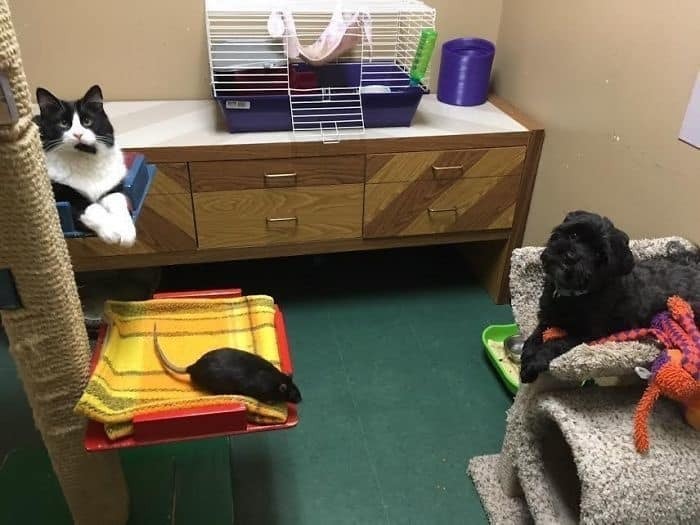 Even though the pictures were going viral, no one was willing to take the rat pack in. Luckily, it didn’t take too long before the right family saw them! The woman in this picture decided to adopt the three friends! 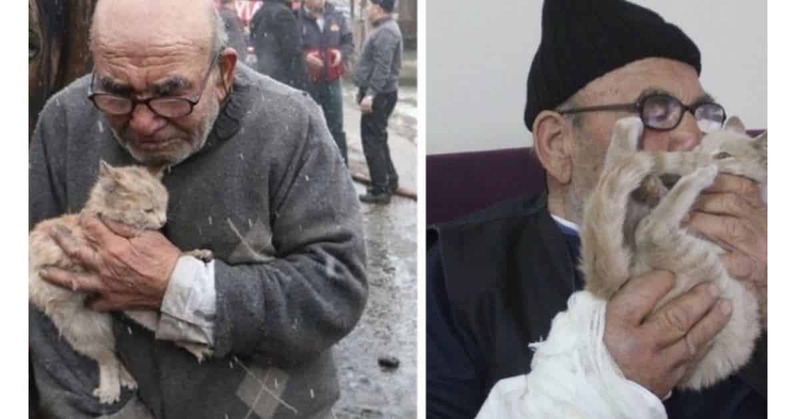 After seeing them on social media, she knew that she needed to save them from other people who might want to separate them. We think it’s safe to say that this is an incredible story. 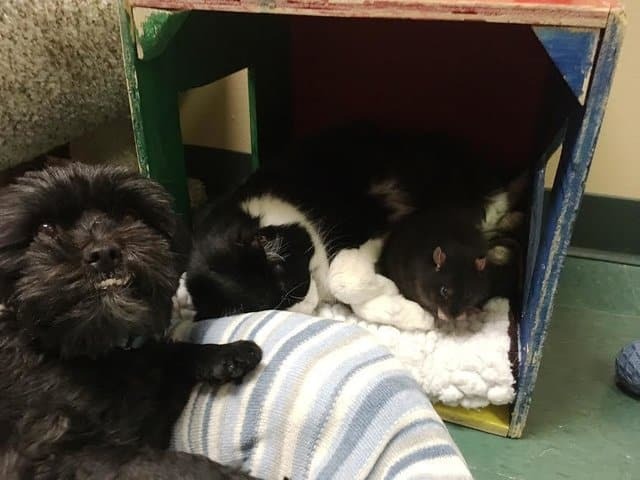 When have you heard of a cat, dog and rat become such good friends before? There is a strong bond between people and their pets and no one can deny that. 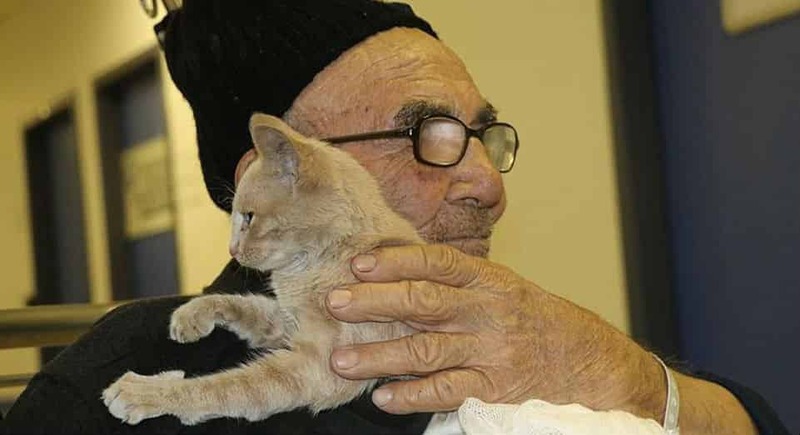 Just look at the picture above and see how happy this old man is after saving his little cat from his burning house. 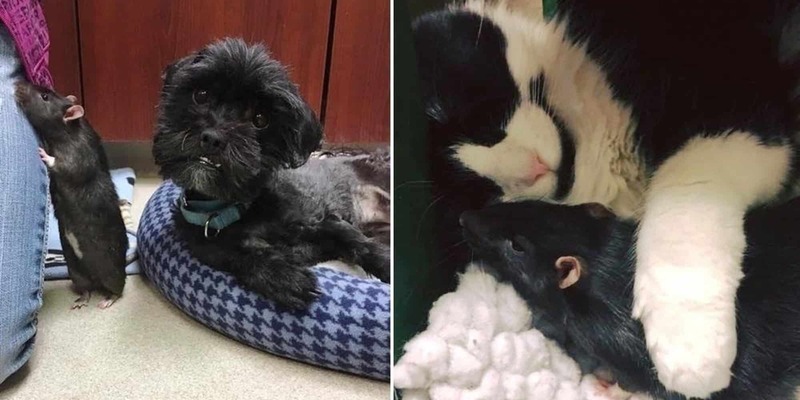 The love people have for their pets is something amazing and we can only hope that Jack the feline, Tweaks the rat and Sasha the canine are going to receive the same from their new adoptive family.